Dumfries Freight is a Long established, family owned and managed haulage company, specialising in standard-setting certified bulk tipper operations throughout the UK and Ireland. For almost 30 years our family values, and dedication to achieving the highest professional standards in our field, have seen Dumfries Freight evolve into the leading force in nationwide tipper transportation we are today. Our head office and operations centre is located just a few kilometres away from the principal A1/M1 road artery outside the city of Newry, enjoying close proximity and access to Ireland's principal roads infrastructure to both Belfast, Dublin, and further afield. 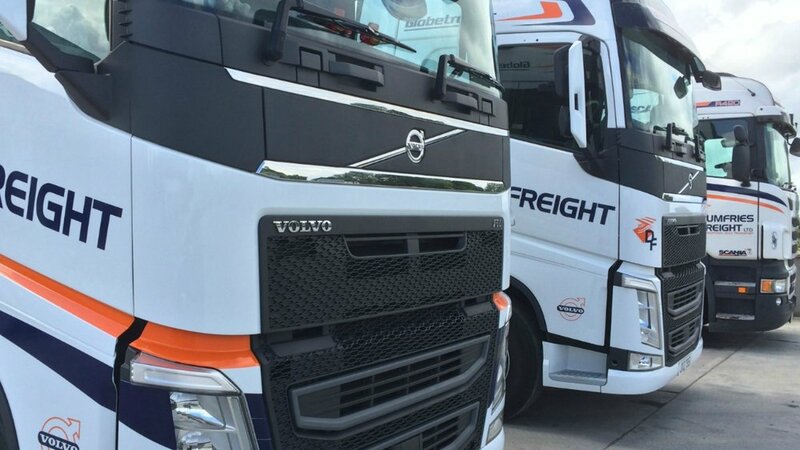 We operate a daily cross channel service, linking customers in Ireland and the mainland UK, and over the years establishing excellent relationships with all major shipping companies. We work diligently to ensure that our customers can expect a service which is dependable - on time, every time - and to achieve this, our modern and constantly updating fleet of vehicles are operated by trained and highly experienced drivers. 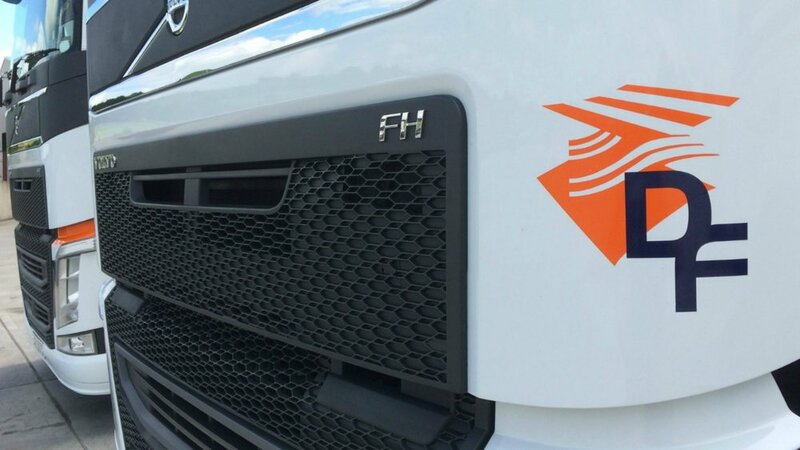 We have done, and continue to invest heavily in all aspects of our operations to further refine our country-wide operations, and today the Dumfries Freight name and our distinctive livery stands out representing consistent professionalism and sector-leading reliability in a highly regulated industry.